Professional dancer Gorka Marquez was attacked by gang in Blackpool after leaving the Strictly Come Dancing live show on Saturday night (November 19), according to reports. According to The Sun newspaper, Gorka was attacked as he walked into a nightclub with fellow dancers Aljaz Skorjanec and Neil Jones. Allegedly, the unprovoked attack caused serious damage to the dancer’s teeth and he is now due to have dental surgery on Monday. A source said: “Gorka and a few of the other dancers were heading to a nightclub to let their hair down after another brilliant show. All of a sudden this group of local louts came out of nowhere. One of them punched Gorka in the face and broke two of his teeth. Gorka was sober, he doesn’t drink. “This was an entirely random and shocking attack on a group of friends simply trying to enjoy a night out. He wasn’t angry, he was just more shaken by the event. 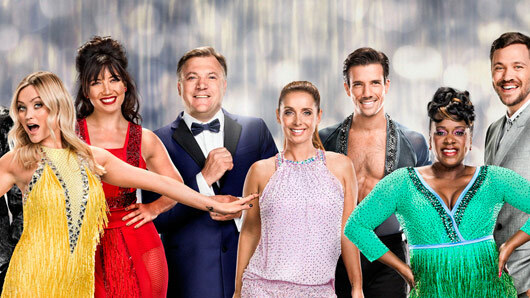 This year saw the professional dancer partnered with EastEnders actress Tameka Empson before they were eliminated from the competition in week two. This weekend, Gorka made an appearance on the show to dance with Janette Manrara. The professional pair wowed audiences at home and in the studio with their slick routine whilst the 80’s pop star performed his new single “Dance”.